30cm Knitting Needles. 10 Pairs To A Box. Aluminium. 30cm Knitting Needles Size 12.0mm. 10 Pairs. 30cm Knitting Needles Size 15.0mm. 10 Pairs. 30cm Knitting Needles Size 2.0mm - 3.75mm. 10 Pairs. 30cm Knitting Needles Size 4.0mm - 5.5mm. 10 Pairs. 30cm Knitting Needles Size 6.0mm - 7.5mm. 10 Pairs. 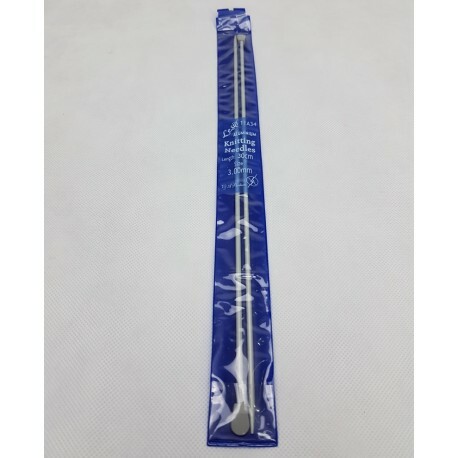 30cm Knitting Needles Size 8.0mm - 10.0mm. 10 Pairs.